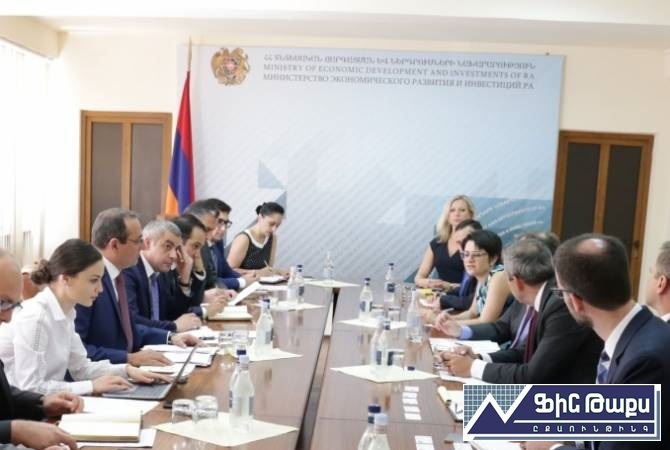 Minister of Economic Development and Investments of Armenia Artsvik Minasyan met with Executive Vice President of the Overseas Private Investment Corporation (OPIC) under the U.S. Government. About it was informed from the press service of the Ministry of Economic Development and Investments, U.S. Ambassador to Armenia Richard Mills, representatives of some ministries of Armenia and Business Armenia were present at the meeting. The Overseas Private Investment Corporation (OPIC) is a self-sustaining U.S. Government agency that helps American businesses invest in emerging markets. Established in 1971, OPIC provides businesses with the tools to manage the risks associated with a foreign direct investment, fosters economic development in emerging market countries, and advances U.S. foreign policy and national security priorities. OPIC helps American businesses gain footholds in new markets, catalyzes new revenues and contributes to jobs and growth opportunities both at home and abroad. OPIC fulfills its mission by providing businesses with financing, political risk insurance, advocacy and by partnering with private equity investment fund managers.